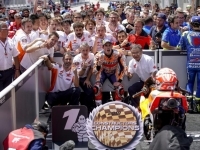 From seventh on the grid to the 70th win in his career: In Malaysia, Marc Marquez took his ninth win this season and his 44th in MotoGP, earning Honda its 24th Premier Class Constructors Title.
. Such were the numbers, but today’s competition was also another master class race for the 2018 MotoGP World Champion, who recovered from the third row of the grid to second place within five laps of the start before beginning a long chase of erstwhile leader Valentino Rossi. Marc was preparing for what seemed certain would be a battle for the victory when the Italian slipped off four laps from the end. 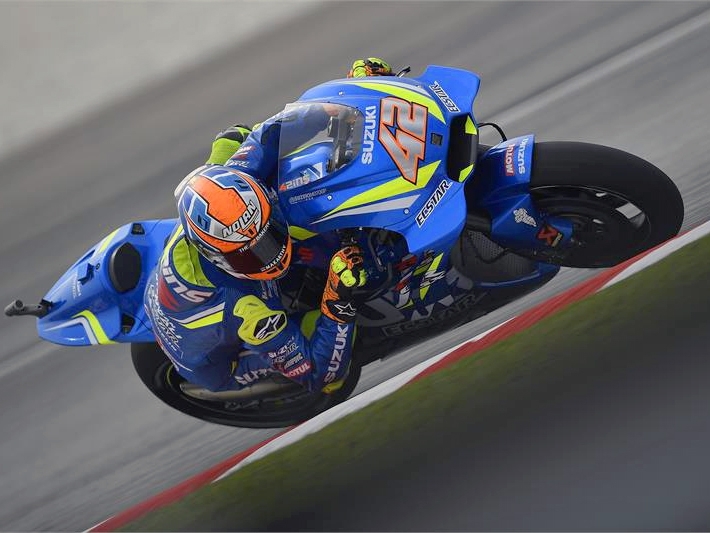 Alex Rins Team SUZUKI ECSTAR end fly-aways on a high. 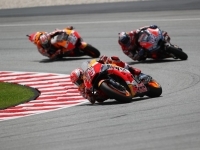 The 18th round of the 2018 MotoGP Championship got underway in blazing hot temperatures in front of over 100,000 fans. With a constant threat of rain and a track temperature of over 50c it was to be a challenging 20 laps. Alex Rins lost ground early on when he was pushed wide and dropped to 7th, but the Spaniard held his focus and kept the leading riders in his sights. On Lap 5 he set the fastest lap of the race and before long he had worked his way into 4th place. 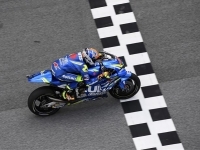 With just four laps remaining Rins was promoted to 3rd place when Rossi went down, but he continued to fight until the chequered flag and managed an excellent 2nd place. This moved him up five positions in the standings to 5th, and gave Team SUZUKI ECSTAR their 3rd consecutive podium - making them the only team to achieve the rostrum in all three fly-away races. Johann Zarco reconquers podium. 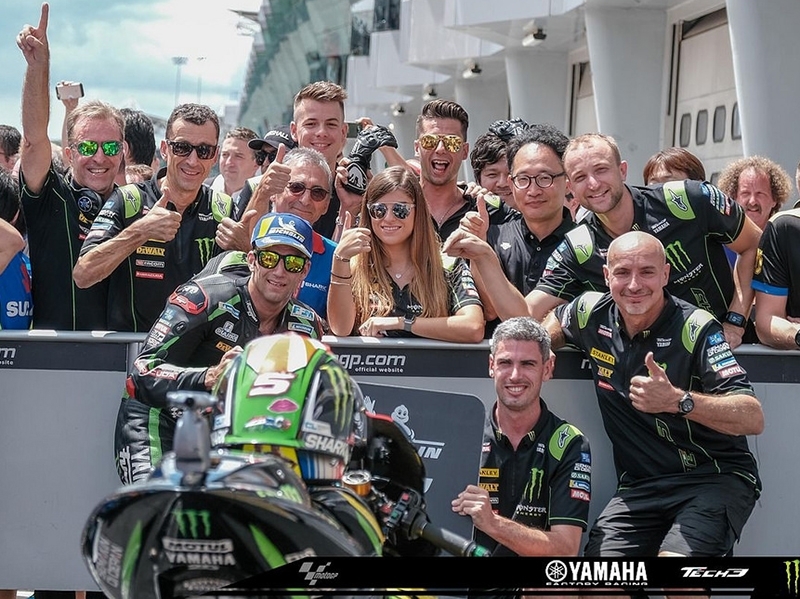 Starting from the first place of the grid, Monster Yamaha Tech3’s Johann Zarco came off the line well and was on an impressive pace from the word go. For 20 scorching laps, he was following the top and eventually fought the heat to be back on the podium with an amazing third place. 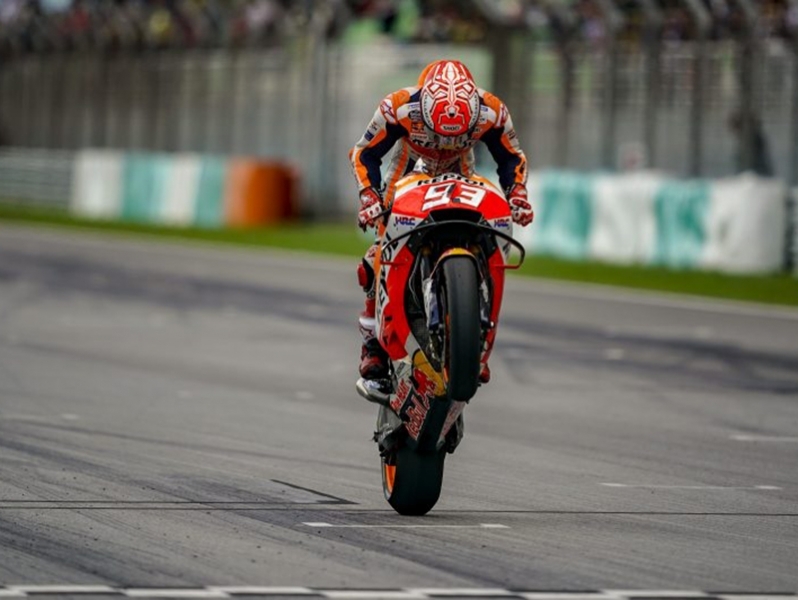 Thereby, he was the fastest independent rider and retook the lead in the independent riders’ championship before the last round of the season in Valencia. 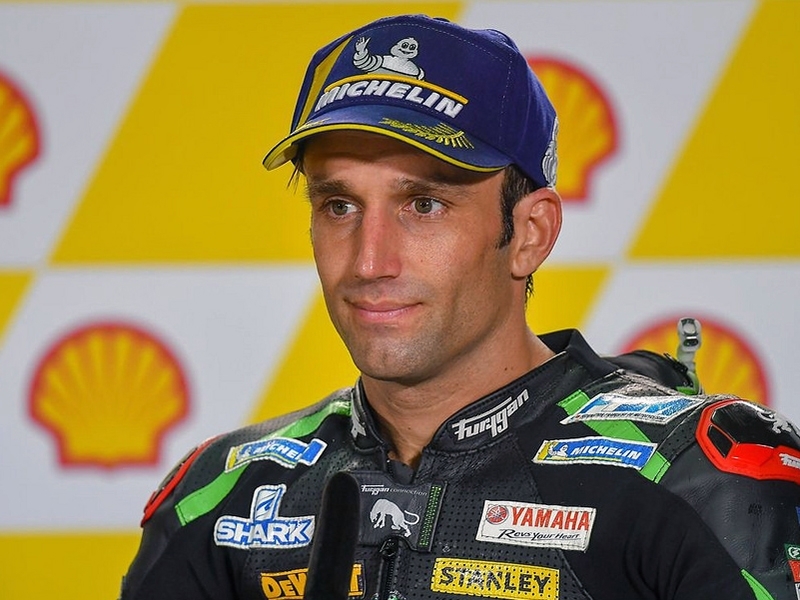 Johann Zarco Position: 3rd– Championship: 6th– Points: 149 "I’m pretty happy, it was a fantastic race! But also difficult like usually in Malaysia. I was tired at the end, but the energy is coming back already. I think the key for that podium was the beginning of the race. I was thinking about overtaking Valentino (Rossi), but he was fast and it was good to be behind him. I could go away, but did a little mistake, when Marc overtook me. I tried to stay behind Marc, had a little gap, but was able to keep a good pace and then Valentino crashed, so I was second. I thought I can control, but four laps to the end Alex (Rins) was faster than me. Even if I was controlling the race well, when I tried to push a little bit more on the last laps, but I just got three tenths faster, which was not fast enough to keep the gap. He overtook me on the last lap. I tried to fight again, but I didn’t have any rear grip anymore. Anyway, the third place is a good finish."